A Hummingbird that isn't a Hummingbird! Hummingbird Moths look and act remarkably like real birds. They are beautiful! This is the first one I've ever see-it was in my tars,feeding on a Bee Balm flower. 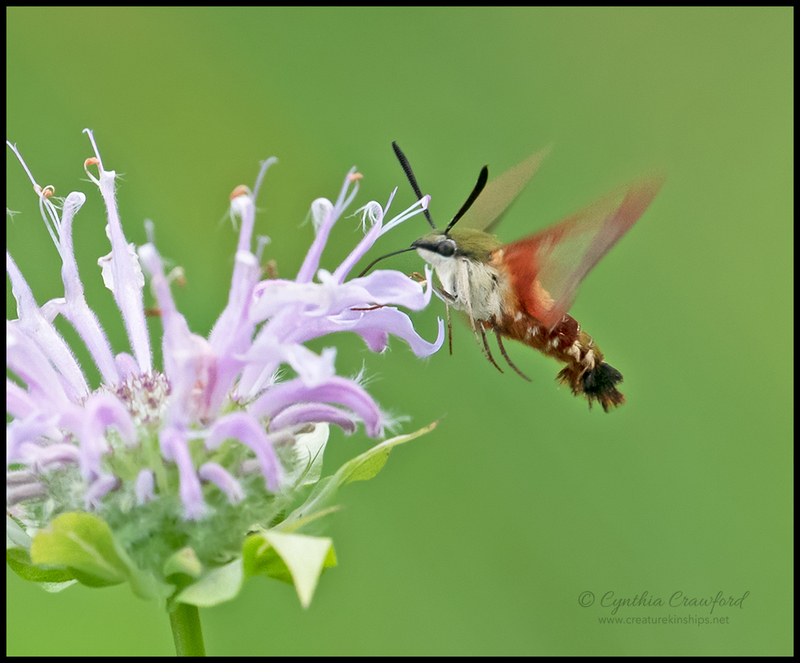 Official name is "Hummingbird Clearwing" (Hemaris thysbe).